GLADIATOR! But what does HHFP have to say about it? So its here is it? A Jeep Wrangler truck. So what does this guy that writes words on a clackity keyboard onto the internets have to say about that? Not much really. Its a Jeep and its a Truck so it does things those thing do. Be able to easily double its price in the online configuratator machine. Be able to double THAT price in the aftermarket. Hold its value stupid well in spite of it still being made by the same people that make the Journey. Be appealing to people who want to be outdoorsy and adventurous, as well as people who just play that person on tv instagram. Be “best in class*” in as many niche categories as you can think up. Have ardent haters based solely along brand lines. Probably have a bed or something. 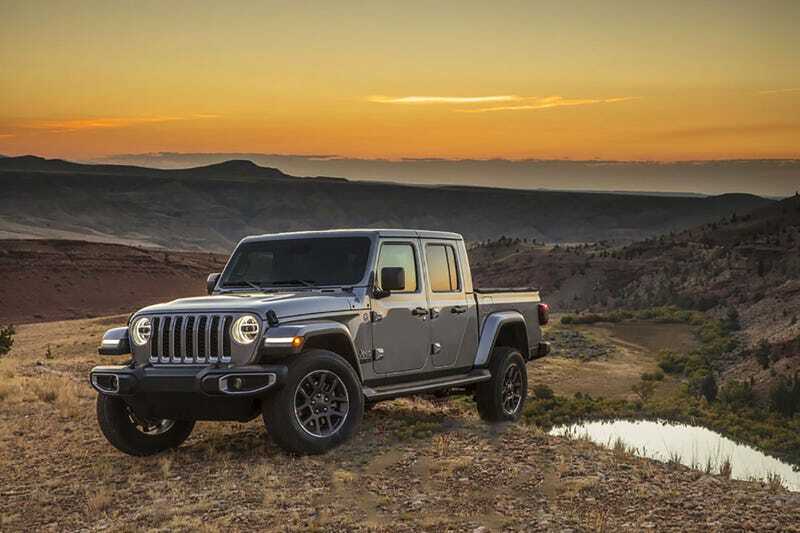 Does the Gladiator be a Jeep and be a Truck? It do. Let me get this out of the way: Its what people want and it will sell and that’s okay with me. It will also be exactly what people who want a wrangler truck will get, be it a fashion statement or a blank canvas. What isn’t it? All that great at being a Wrangler out of the factory. The base and overland models are good trucks, but their basic design limits make them poor off roaders. Low frames, CRAZY long wheel base = tricky trucks to wheel. Have I made it clear yet what 18.4 degrees of breakover angle is yet? Hint: not enough for a Wrangler. I know I harp on that a little but let’s be honest, it’s a big deal on a big truck meant for off roading and yes the Rubicon on its 33 inch tires is better...but its still only 20.3, or basically a subaru outback. ON 33's! Can this be solved with the inevitable 2 inch lift and 37 inch tires? Yes, but now you’ve just made a big truck huge. I don’t want to sound like I hate it, I think it’s rad they brought it out and made it a real truck. I’m a little sad inside that it’s only going to crowd up the backcountry a little more. On the other side of the asterix there are some important qualifications. Yes, it has best in class* towing and payload of 7,650 and 1600 lbs respectively, but if you look at the chart, most configurations are WAY off those numbers to the point of them almost being statistical outliers in the data. The mean payload is 1245, which is much closers to what most people will actually get and over 60% of the configurations are 1200 lbs payload or lower. For towing it’s a little better with the mean max towing with the max trailer package (the only way to be fair) being around 6600 lbs. As you can see, it’s certainly in the hunt, but hardly the standout. The Colorado/Canyon and the Ranger being your goto’s for both payload and towing for most if not all but a single model trims. So what do I really think about them?